Firstly can I get a 'IT'S SOOOO PRETTY!' for MUA please? Finally this very low-budget drugstore brand has produced something that looks like it belongs on the stand of a Selfridges counter. Yes, the packaging is now white and, arguably, not as classy as the black that presided on MUA counters before the new collection of 'Undress' products was released. 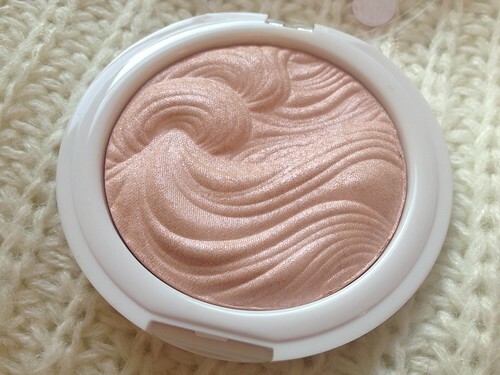 Still, look at the embossed design on the top of this shimmer highlighter - MAC worthy or what? Besides my cooing over the design of the product you all know I love highlighters. I usually go for cream based ones as I think they give a far more natural and dewy appearance to the skin. However, at a purse-friendly £3, how was I going to resist? 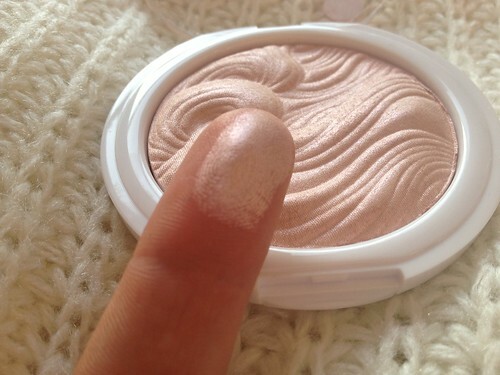 It's a flattering baked shell-pink powder with a light shimmer designed to give a sheer, luminous finish to the skin. There are no large glitter particles in this product which means that with careful blending and a light hand during application this can look stunningly natural. The pressed powder is reasonably milled - it's not the finest I've ever seen but then for such a fabulous price I'm not complaining. The only problem I've found is that it can sit on the skin and highlight pores on 'bad skin days' (we all have those right?) but this is only on the odd occasion. I've used with a brush and with my fingers for application before now - both yielding similarly beautiful results. If you're not used to wearing highlight but want to get into doing so then I would definitely recommend this product. 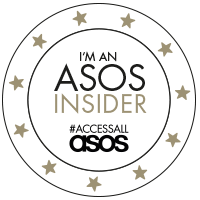 It think it would suit most skin types and won't break the bank if you don't get on with it (doubtful). MUA stands are exclusive to Superdrug stores across the UK but you can also buy MUA products online. 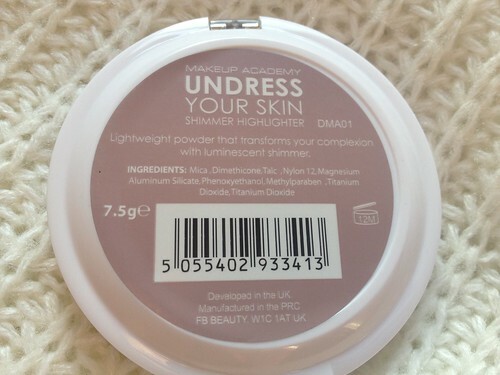 MUA are currently holding an offer on their new 'Undress' range but hurry - it ends tomorrow! 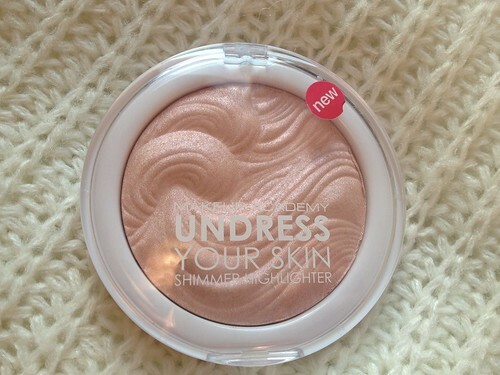 Shimmer Highlighter RRP: £3.00 (on offer for £2 - save a third). I bought this straight away when it came out! I do adore this. It's such a gorgeous finish! I bought this a week or so ago and it's quickly become something that I use every day. It's so easy to brush over your cheekbones, bridge of your nose, forehead and chin to create a more angular look to your face. I actually think I prefer this to my benefit moon beam just because it's so easy to use! This is so pretty! I love the embossed design. I'm not letting myself buy it, though, I have too many highlighters as it is!